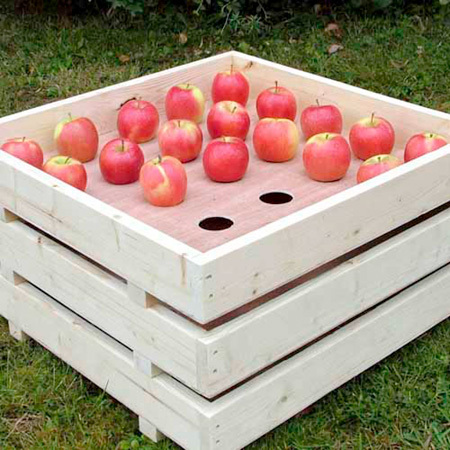 What better way to store your precious crop in tip-top condition than in traditional apple trays or an attractive apple tray holder. Manufactured from softwood from sustainably managed forests, they're designed to provide good airflow around each fruit - essential for maintaining fruit quality and longevity. 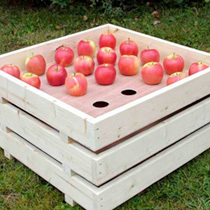 Each tray has 25 holes, in its base in which the apples nestle, so they don't touch each other or roll around and get damaged. Either stack the trays or, if you need more storage, invest in our tailor-made 6 drawer apple tray holder, and simply slide them into position. 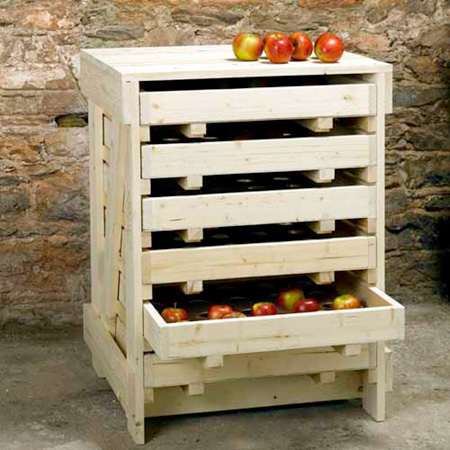 Fruit stores best in a cool, dark, well ventilated cellar, shed or garage, although the storage unit is so attractive, you might even want to place it in a cool porch. Tray holder measures 64cm (25¼") wide x 57.5cm (22¾") high; trays 55.5cm (21¾") x 56cm (22") x 11cm (4¼") high. 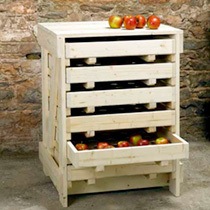 Store your apples properly and enjoy them for months!